Today, on Third Time’s A Charm… trick or treat? It’s October and we’re celebrating by watching Halloween III: Season of the Witch! 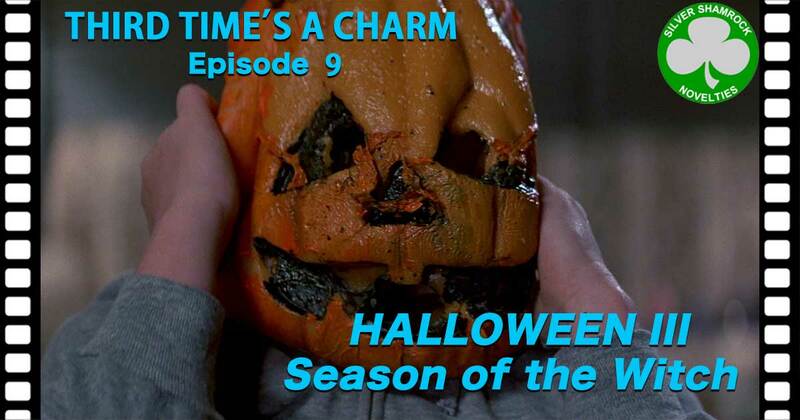 (Twenty-eight days ’til Halloween, Halloween, Halloween..) Joey and Dan join Mike to investigate the strange deaths caused by weird masks made by an Irish Novelty Company — with close ties to Stonehenge! It may not have Michael Myers, but it’s got an alcoholic, womanizing doctor! All of that and Third Time’s A Book on today’s all-new episode. Happy Halloween!